For high speeds in road use. For sporty SUVs. For high speeds in use on roads. Engineered in Germany, Continental offers premium tyres with optimum braking performance and safety. Short braking distances and high cornering stability. Test winner by 'Gute Fahrt' in their summer tyre test 2014 for the size 235/55 R 17 V. The bionic contour of the tire narrows the tire when moving and widens it when braking. This reduces the braking distance and ensures higher cornering stability. The tire's asymmetrical profile and outer rigidity guarantees exceptional cornering and a fun drive without compromising on safety. The four or five (depending on tire width) circumferential drainage grooves provide excellent protection against aquaplaning. Short braking distances and high cornering stability. The tire’s bionic contour creates a disproportionately wider ground contact patch in the case of increased dynamic load, resulting in short braking distances and greater cornering stability. Safety reserves for outstanding handling and fun at the wheel. Sturdy shoulder lugs on the outer side of the tire, linked to the ribbed tread pattern structure, mean steering precision and cornering stability, as well as optimum traction and braking characteristics. These large lugs linked to the circumferential rib give the tire a good foothold, thereby improving traction and braking, with optimum steering precision and straight running. Low rolling resistance and excellent grip. 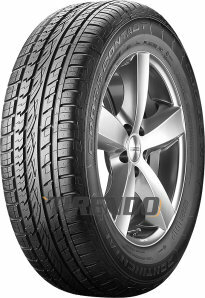 The state-of-the-art high-performance car tire tread compound with silica technology ensures outstanding interlocking with the road, resulting in excellent grip and low rolling resistance. 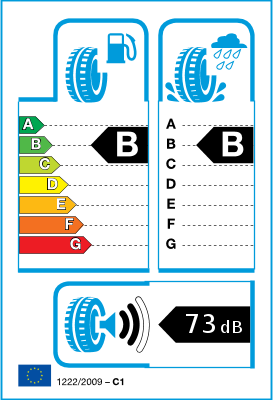 Fantastic tyre, love driving on them, tyre wear is high though but I guess one can not have grip and low wear. I have had tyers (of another brand) that had high wear and low grip. Very good tyre, loads of deep tread and good grip, especially in the snow. Big difference over my last tyres. Rubbish in the snow which makes having a 4x4 even more pointless. Volvo should be ashamed for fitting this tyre as standard. Have ordered some Vredestein Wintrax 4 Extremes instead for winter then will change to an all season tyre such as the Goodyear Wrangler.